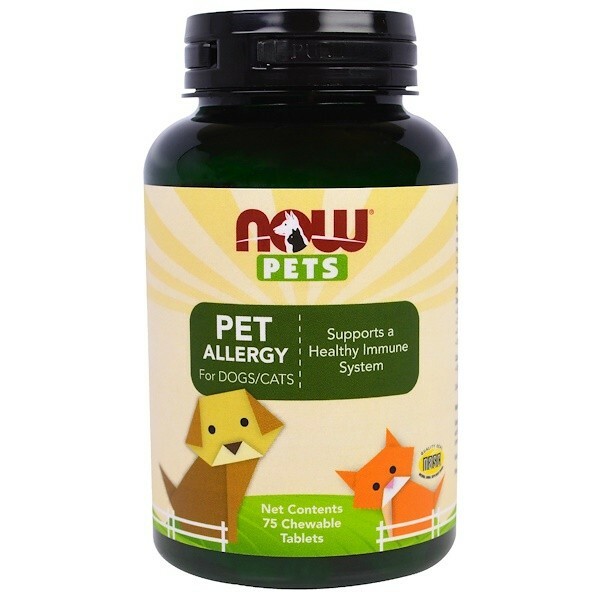 NOW Pets Pet Allergy contains natural botanicals. Other Ingredients Inactive Ingredients: Calcium carbonate, cellulose, cod powder, silica, stearic acid, tuna flavor. 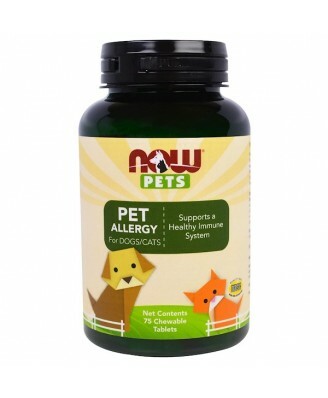 NOW Pets Pet Allergy contains natural botanicals. NOW Pets Pet Allergy has been formulated by renowned veterinarian Dr. Barbara Royal, DVM, CVA, Founder of The Royal Treatment Veterinary Center. Dogs: Up to 20 lbs. 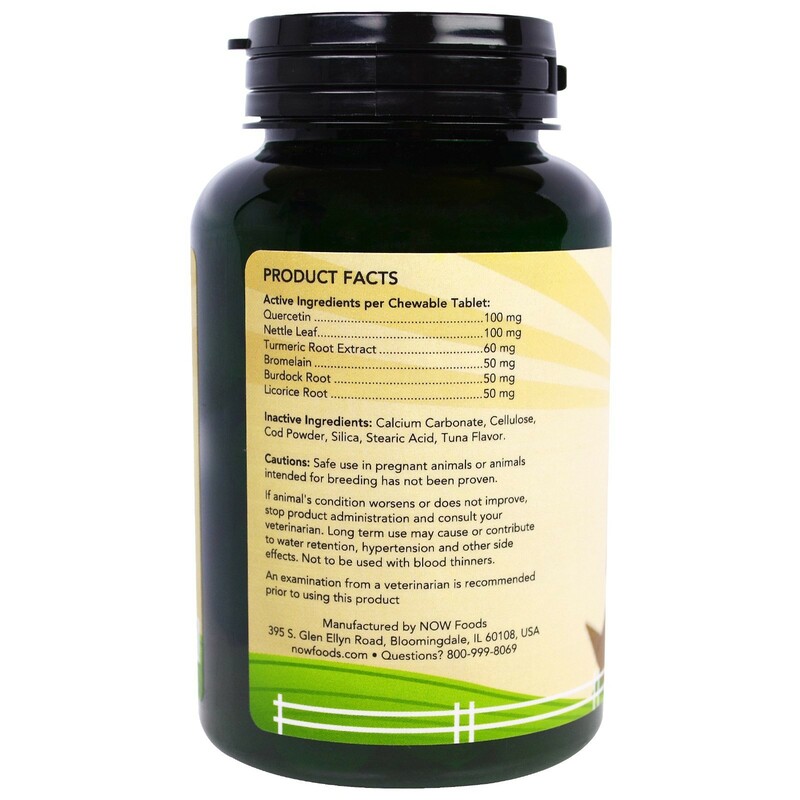 ½ tablet twice daily 21 to 40 lbs. 1 tablet twice daily 41 to 80 lbs. 2 tablets twice daily Over 81. lbs. 3 tablets twice dailyCats: Up to 20 lbs. ½ tablet once daily. Give NOW Pets Omega-3 for additional support. For animal use only. Keep out of the reach of children and animals. In case of accidental overdose, contact a health professional immediately. Cautions: Safe use in pregnant animals or animals intended for breeding has not been proven. If animals condition worsens or does not improve, stop product administration and consult your veterinarian. Long term use may cause or contribute to water retention, hypertension and other side effects. Not to be used with blood thinners. An examination from a veterinarian is recommended prior to use this product.